It is the branch of engineering concerned with the design, construction, and operation of systems and plants that deal with mainly chemical reactions to solve practical problems or make useful products. The term “Chemical Engineer” was never intended to describe the work a Chemical Engineer performs. It was more meant to indicate how it is different from other branches of engineering. Like all engineers, Chemical engineers use math, physics, and economics to solve technical problems. 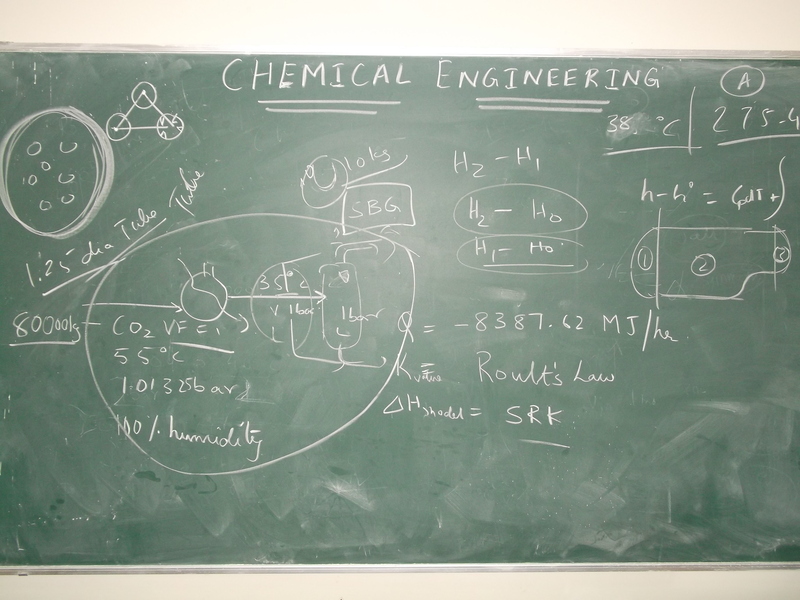 The difference between Chemical Engineers and other engineers is that it is the Chemical Engineer alone that draws upon the vast and powerful science of Chemistry to solve a wide range of problems. The strong technical and social ties that bind Chemistry and Chemical engineering are unique in the fields of science and technology. Chemical Engineering today occupies a unique position at the interface between Molecular Sciences and Engineering. With exposure to the fundamental subjects of Chemistry, Biology, Mathematics, and Physics Chemical Engineers are able to work in close collaboration with fellow engineering disciplines like Materials Science, Computer science, and Mechanical, Electrical, and Civil engineering — Chemical engineering offers unparalleled opportunities to do great things. It would take too long to list all the products that are impacted by chemical engineers, but knowing what industries employ them may help you comprehend the scope of their work. Chemical Engineers work in manufacturing, pharmaceuticals, healthcare, design and construction, pulp and paper, petrochemicals, food processing, specialty chemicals, microelectronics, electronic and advanced materials, polymers, business services, biotechnology, and environmental health and safety industries, among others. Within these industries, Chemical Engineers rely on their knowledge of mathematics and science—particularly Chemistry— to overcome technical problems safely and economically. And, of course, they draw upon and apply their engineering knowledge to solve any technical challenges they encounter. Don't make the mistake of thinking that chemical engineers only “make things,” though. Their expertise is also applied in the areas of law, education, publishing, finance, and medicine, as well as in many other fields that require technical training. Specifically, Chemical Engineers improve food processing techniques, and methods of producing fertilizers, to increase the quantity and quality of available food. They also construct the synthetic fibers that make our clothes more comfortable and water resistant; they develop methods to mass-produce drugs, making them more affordable; and they create safer, more efficient methods of refining petroleum products, making energy and chemical sources more productive and cost effective. Chemical Engineers also develop solutions to environmental problems, such as pollution control and remediation. And yes, they process chemicals, which are used to make or improve just about everything you see around you.Chemical engineers face many of the same challenges that other professionals face, and they meet these challenges by applying their technical knowledge, communication and teamwork skills; the most up-to-date practices available; and hard work. Benefits include financial reward, recognition within industry and society, and the gratification that comes from working with the processes of nature to meet the needs of society. Chemical Engineers sometimes are called "Universal engineers" in view of the broad spectrum of areas in which they contribute. The Department of Chemical Engineering at BITS Pilani K K Birla Goa Campus offers a strong integrated First Degree academic program (B. E. Hons.) in Chemical Engineering and also a dynamic Higher Degree Programme – M. E. (Chemical) that reflects the evolution of the Department. Over the years, the academic program has evolved in to a strong core curriculum complemented by electives in the important emerging areas of Chemical Engineering. This continually evolving program emphasizes on fundamental theory as well as practical applications in Chemical Engineering keeping in view the continuous changing scenarios in this discipline. The Department has initiated a vigorous research program in a few thrust areas through significant funding from Industry and the Government funding agencies. In a short span of 8 years of its existence, the Department of Chemical Engineering has seen remarkable developments in evolving curricula, teaching, laboratory infrastructure and research programmes as well as consultancy and funded projects. It is poised for all round growth in the next few years spurred on through activities under the Vision 2020 programme of BITS Pilani. Providing knowledge in areas of environment and energy. The Department of Chemical Engineering at BITS Pilani K K Birla Goa Campus currently offers three different programmes at various levels.The First Degree programme provides a strong foundation in Chemical Engineering along with basic sciences. The Higher Degree programme gives students an opportunity to build on their fundamentals and carry it further to an advanced level. 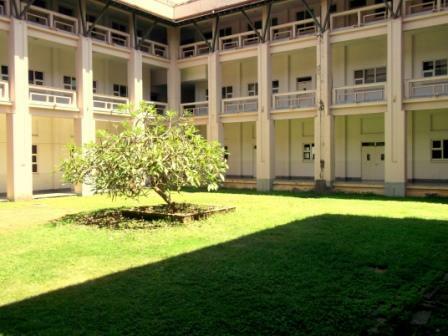 The Department has well developed laboratories with latest equipment. The Chemical Engineering Laboratory 1 and 2 courses cater to experiments in Fluid Mechanics, Heat Transfer, Engineering Chemistry, Separation Processes 1 and 2, Process Control, Kinetics and Reactor Design etc. In addition the CAD lab houses softwares like CHEMCAD, COMSOL, PRODYN, HYDRAFLASH etc. catering to courses in Simulation and Transport Phenomena. CLICK HERE for details related to curriculum. Vice Chairman: Prof. Srinivas K.
Dr. S. D. Manjare has received a consultancy project (Rs 8.50 Lacs) titled “Environmental Audit for Ammonia, Urea, & Phosphate Fertilizers Units and Utility & Storage sections” funded by Zuari Agro Chemicals Limited, Goa. Dr. S.D. Manjare has received a consultancy project (Rs 8.50 Lacs) titled “Water Audit for Ammonia, Urea, & Phosphate Fertilizers Units and Utility & Storage sections,” funded by Zuari Agro Chemicals Limited, Goa. Dr. Sharad Sontakke received International Travel Support (ITS) from DST - SERB New Delhi, for presenting paper in the 2018 AIChE Annual Meeting to be held in Pittsburgh PA, USA from 28th October to 2nd November 2018 - Congratulations to Dr. Sharad ! Dr. Saroj Baral received International Travel Support (ITS) from DST - SERB New Delhi, for presenting paper in the 13th Conference on Sustainable Development of Energy, Water and Environment Systems (SDEWES), to be held in Palermo, Italy - Congratulations to Dr. Baral ! Dr. Srinivas Krishnaswamy has been awarded the prestigious "Prof. I J Nagrath Faculty Excellence Award" - Congratulations to him! funded by Aditya Birla Science and Technology Company Pvt. Ltd. (ABSTCPL) - Congratulations to them! Dr. Saroj Baral, Dr. Vivek Rangarajan, Dr. Sharad Sontakke and Dr. Anirban Roy, in collaboration with Department of Biological Sciences has been jointly awarded a project titled "Bioremediation of Red Mud using acidogenic fermentation byproducts and by biopiling" - funded by Aditya Birla Science and Technology Company Pvt. Ltd. (ABSTCPL) - Congratulations to them! Dr. Richa Singhal has received the Early Career Research Award from DST - SERB - Congratulations! Dr. Vivek Rangarajan has received the Early Career Research Award from DST - SERB - Congratulations! Dr. Sharad Sontakke has received 3rd Prize in ‘Bright S&T Idea (Innovative) Competition’ held at BITS Hyderabad for concept of ‘Multipurpose easy-to-apply formulation’. Dr. Anirban Roy has received ‘Indian National Academy of Engineering - Innovative Project Award 2017’ for his work on ‘Low Cost Hemodialysis Membranes’. He has also been nominated as a member of INAE for next 5 years. The project titled 'Development of suitable material for visible light induced photocatalytic hydrogen production from industrial wastewater' (P.I. : Prof. S. S. Baral) has been approved by DST-SERB for funding (INR 53,32,000). Inaugurated by Minister of department of Science and Technology Goa, Mrs. Alina Saldanha. Attended by almost 50 working professionals across Goa as participants. Mr. R. K. Kashyap, Executive Director (R&D and TQM) GAIL India Ltd.
Mr. N. K. Pande, Sr. Manager (R&D) GAIL (India) Ltd.